Home > How can you measure the value of a webpage? > How is Google PageRank different from Moz Domain Authority? 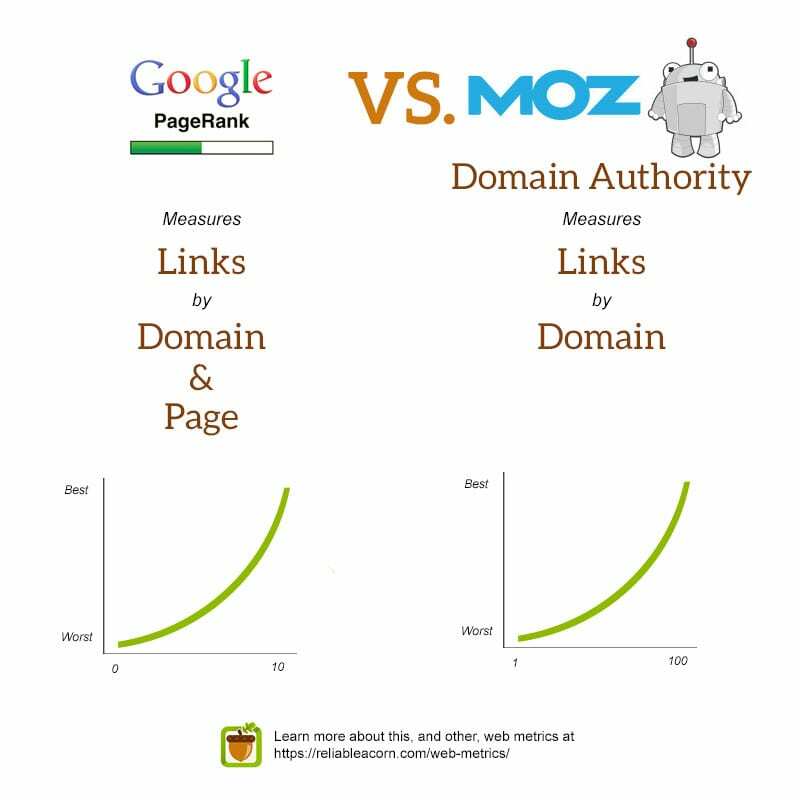 How is Google PageRank different from Moz Domain Authority? Both Google PageRank and Moz’s Domain Authority measure the quality of back links to a website- although PageRank can apply to individual pages, too. Both work on an exponential scale but PageRank measures between zero and ten while Domain Authority gets more specific with a 0 to 100 scale.